Home > Monday Minute	> Monday Minute: Why was B afraid of D? Monday Minute: Why was B afraid of D? 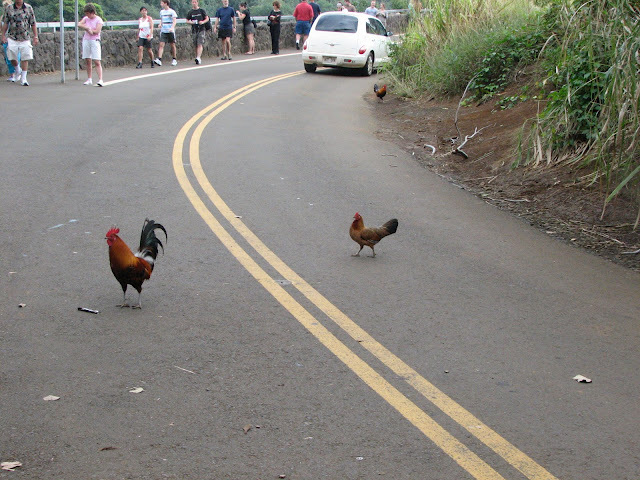 I’m going to try “Why did the chicken cross the road?” on them next. Brigid (my sister): Hey Adam, why was B afraid of C? Adam: I can’t do a joke right now. Adam (finishes chewing): Okay, I’m ready now. Why was B afraid of D? Adam: Not you, I’m telling a joke to Brigid. Adam: Because D had spiders all over it! Haaaaaaaa! James and Margaret guffaw loudly as if this is the funniest thing they’ve ever heard. James: I got one. Why was P afraid of R? Ryan (surveys chaos as he sits down to dinner): Hey, Adam. Knock knock. Ryan: Can you bring me the green top hot sauce in the fridge? Adam: Haaaaaa! (without missing a beat) Nope, can’t do it. Seriously, it’s a laugh a minute over here.